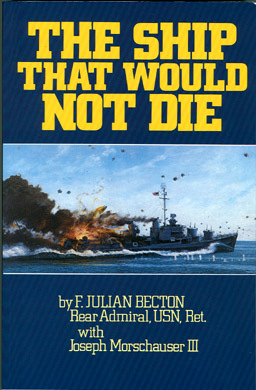 “The SHIP That WOULD NOT DIE” By Rear Admiral F. Julian Becton, USN (Ret.) with Joseph Morschauser III. 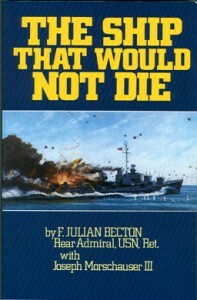 Frederick Julian Becton was the commanding officer aboard the American destroyer USS Laffey (DD-724). Commissioned in February 1944, Laffey was quickly placed in harms way. Her first action in World War II was during the Allied invasion of France. Laffey took her position off the coast of Normandy for the famed D-Day invasion of June 6, 1944. In 1945 Becton and his USS Laffey had steamed half a world away, now taking part in the Pacific war against the Japanese. Stationed as a radar picket ship off the island of Okinawa, on April 16, 1945, all hell broke loose when the little tin can fought for 80 horrifying minutes against 22 Japanese kamikaze planes and bombers. Although the ship’s gunners downed many incoming aircraft, seven suicide planes managed to crash into the hapless vessel. The attacks killed 32 sailors and wounded 71 more, but despite fires, smashed and inoperable guns, and a jammed rudder––Laffey somehow managed to survive. Commander Becton, never gave up and miraculously saving his damaged ship. Becton became famous for his reply to an officer asking him whether they would have to abandon Laffey stating; “We still have guns that can shoot. I’ll never abandon ship as long as a gun will fire!” He continued to serve in the U.S. Navy after World War II and reached the rank of Rear Admiral. The USS Laffey received a Presidential Unit Citation and following her survival off Okinawa the destroyer was nickname “The Ship That Would Not Die.” This excellent book gives the remarkable story of why the American public considered this World War II destroyer a hero ship. Today the USS Laffey is currently a museum ship, anchored at Patriot’s Point in Charleston, South Carolina. 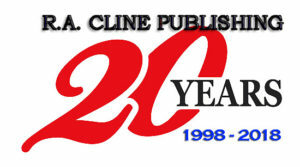 New Softbound edition, 295 pages, 27 black and white photographs, 2 maps, a copy of the ships’ Presidential Unit Citation, a USS Laffey crew roster and an index. Rear Admiral Frederick J. Becton passed away on Christmas Eve, December 24, 1995 in Wynnewood, Pennsylvania, he was 87 years old. Becton’s naval decorations include the Navy Cross, the Silver Star Medal with three additional Gold Stars in lieu of a second, third and fourth awards, a Commendation Ribbon with a Star in lieu of a second award. The Croix de Guerre with Gold Star, and the Pacific Ribbon with seven stars.